One of the wonders of the world (how many of them are there these days? 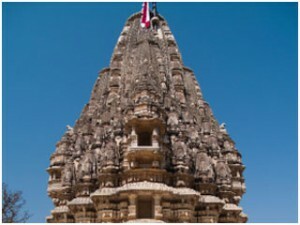 ), Ranakpur Temple is most noted for its intricate and seemingly delicate architecture. It is also one of the five major Jain pilgrimage sites. One can easily reach Ranakpur Temple from anywhere in Rajasthan. Built in the 15th century, Ranakpur temples are known for being the largest most important temples of the Jain cult. It is thought to have been built by Seth Dharna Shah, who was a prominent Jain businessman. The king helped the Seth on a condition that the temples would be named after him. There are More than 1400 exquisitely carved pillars supporting the temple and the basement sprawls an amazing 48,000 square feet. See the amazing 45-feet-tall engraved nymphs playing the flute in various dance postures, and they play amongst other columns, not two alike. The vast temple complex comprises Chaumukha Temple, Parsavanath Temple, Amba Mata Temple and Surya Temple. Chaumukha Temple is the most prominent amongst all of them. The term ‘Chaumukha’ means four-faced. Lord Adinath (the first Jain ‘Tirthankara’) is the main presiding deity of Chaumukha Temple. The complex structure of the temple has four separate entrance doors to penetrate in the chambers. These chambers lead to the main hall or ‘Grabh-Griha’, where the idol of Lord Adinath is placed. The four-faced image of the Lord faces in all four directions, suggesting the pursuit of Tirthankara’s for the four directions and eventually the universe. The Sinsgh family, whose ancestral home is Rohet Garh, makes arrangements for safaris around Udaipur. Choose between many options. From royal picnics where you will stay in cottage-style tents while being served like a king or queen, to village safaris and culinary workshops, you are sure to be well taken care of by the Rohet Garh staff whichever you choose. 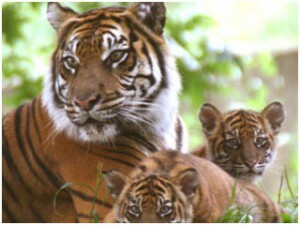 This is your best chance to see a Bengal tiger, although since there are only 30 tigers here, you are not promised a glimpse. Entry to the park is by permission only, so make arrangements through your hotel. 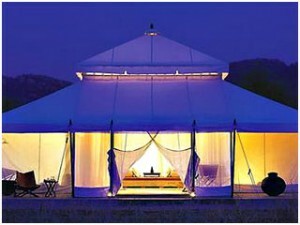 The best way to do it is book a safari through Aman-i-Khás or the Oberoi Vanyavilas. 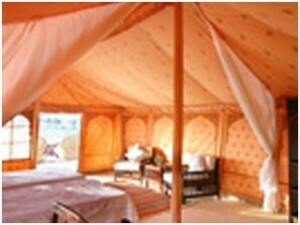 For the ultimate in luxury safari, find this camp resort on the outskirts of Ranthambhore National Park. Operating from October until the end of April, the ten tents offers comfortable beds, soaking tub, shower, and a separate dressing area. Each tent is also air conditioned, with fans and a cooler for drinks.